Since 1896, Lodge Manufacturing has been an important economic force in South Pittsburg. And even in an age of fast-food and planned obsolescence, the cast-iron cookware standard-bearer continues to grow and become stronger than ever. You would think that when you produce a product that never wears out and is passed down from generation to generation, you would finally work yourself out of a job. However, cast-iron cookware is experiencing a new surge in popularity fueled by cooking programs on television, food bloggers on the Internet and the “sharing” of all things “foodie” on social media sites such as Pinterest, Facebook and Twitter. 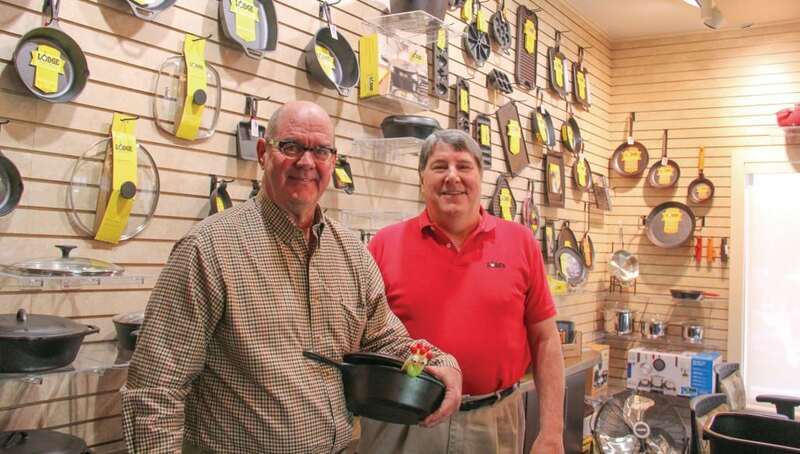 The demand for cast-iron cookware, highly touted for its ability to evenly conduct heat and its natural nonstick qualities, has forced Lodge Manufacturing to get into what company President/Chief Operating Officer Henry Lodge calls “hurry-up” mode to meet the surging demand. 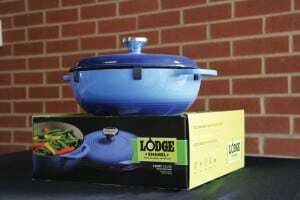 Lodge products made in Sequachee Valley EC’s service area. 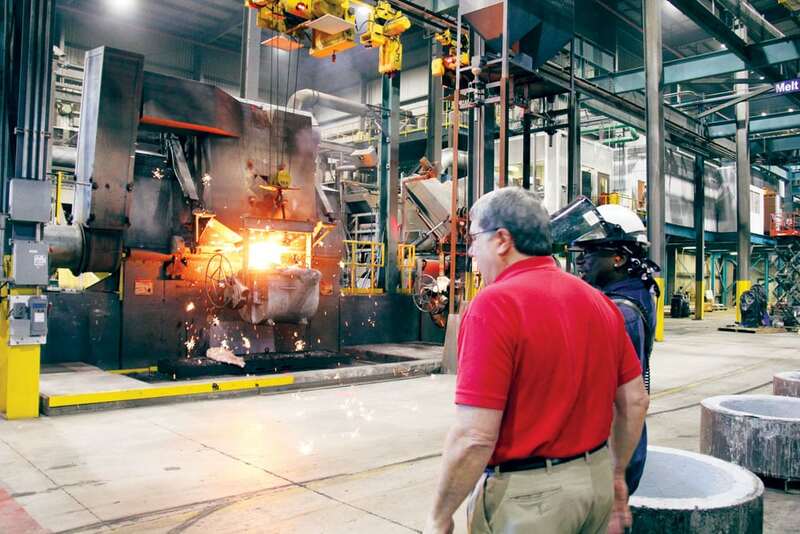 The recent expansion project included entirely new melting furnaces, a new Disamatic molding machine — much larger than the old one — a whole new sand system and new cleaning, finishing and packaging facilities. Market numbers show that sales of cast-iron cookware have increased from 4 percent to 10 percent of the cookware market. So even though people hold on to their heirloom skillets, they love their cast iron so much they are adding griddles, Dutch ovens and other pieces to their collections. One factor to which Lodge attributes the popularity of their line is the fact that the cookware comes already “seasoned.” The care of cast iron has been seen as daunting or just “too much trouble.” However, that changed when Lodge introduced its “Logic” preseasoned pieces in 2002. The line was so popular that soon all of Lodge’s cookware left the factory seasoned. With nearly 300 employees, Lodge is one of the largest employers in Marion County, so its growth, expansion and climbing sales figures mean a better economy for the county and the Sequatchie Valley. 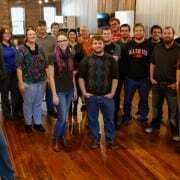 “We are moving a LOT of product,” Lodge said. “We produce the largest selection of American-made cast-iron cookware, although there are a couple of small niche companies that produce small quantities of high-end ‘designer’ cookware here in the U.S.
Henry Lodge, left, Lodge Manufacturing president/chief operating officer, talks with Larry Pines, operator of a new, more-efficient, electric melting furnace, during a walk-through of the company’s newly rebuilt foundry. The 120-year-old family-owned business, now run by Lodge and CEO Bob Kellerman,great-grandsons of founder Joseph Lodge, is making plans for the next five to 10 years and beginning work on the next building project — a new warehouse across the river in New Hope — while settling into the new, larger factory store in South Pittsburg.